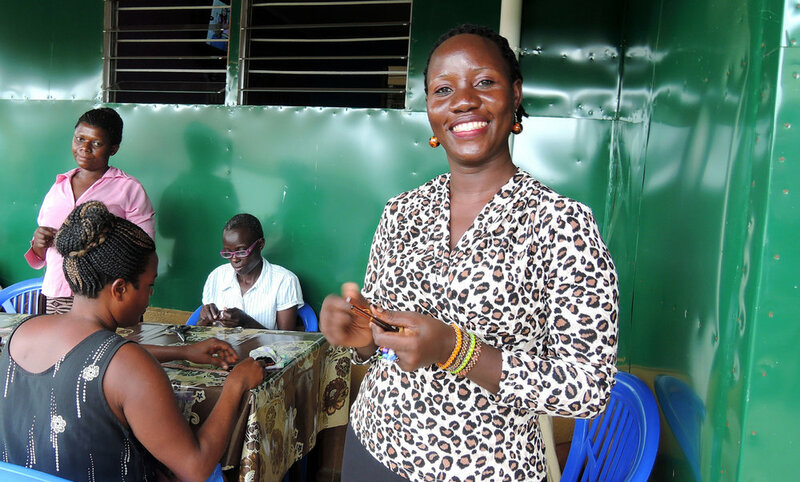 Harriet’s skills in bead-making and leadership mean that she can now take care of her family and save to build a house. This year’s World AIDS Day, which marked its 30th anniversary yesterday, aimed to highlight the importance of being HIV-status aware and called for barriers to HIV testing to be removed. In Uganda, United Purpose’s partner organisation, KCA (Keep a Child Alive) and the Alive Medical Services are challenging these barriers; working on the front line in the fight against AIDS, they are supporting people like Harriet and Esther to lead fulfilling lives. 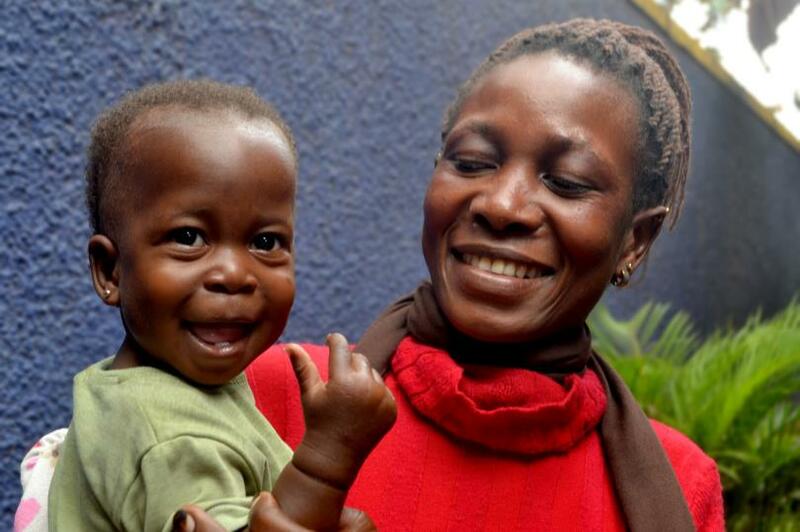 Harriet (pictured above) is a mother of four who lives in Kampala, capital city of Uganda. After her husband died of AIDS, her mother advised Harriet to be tested, knowing that if her daughter was HIV positive, she needed to be as healthy as possible to take care of the children. HIV testing is essential for expanding treatment and ensuring that people living with HIV are linked to quality care and prevention services. It empowers people to make choices about prevention and to protect themselves and their family. But barriers to HIV testing remain and many people still only get tested after becoming ill and symptomatic. Since testing positive, the help that Harriet received has enabled her to remain healthy. Hopeful for a positive future: Esther and her baby daughter. Like Harriet, Esther, also lives in Kampala. When her partner left her, it made it nearly impossible to juggle work on a roadside stall, with caring for her month-old baby and two older children. As her income dropped, she was unable to eat properly. And as her breast milk began to run out, her baby Florence* lost weight dramatically. AMS also run regular clinics, with doctors, community health workers and nurses, working with communities facing severe food insecurity in Uganda. After staff discovered the baby’s weight loss, the family were enrolled in a food programme, and Esther received advice on how best to feed her daughter. Crucially, this programme is followed up with other forms of support. Over 300 people who are HIV-positive are involved in a gardening programme designed to teach them to plant, grow, harvest and sell their own crops, for example. This means that they can raise their incomes and improve their diet, in a way that’s sustainable in the long term. Thanks to the help she’s received, Esther now has the chance to lead a healthy and productive life and has high hopes for the future. “HIV - and my other challenges – cannot bring me down”, she says. United Purpose works with Keep a Child Alive (KCA) and Alive Medical Services, in Uganda and elsewhere in the world. People who test HIV-positive, receive care & treatment and go on to develop skills enabling them to earn an income and support their families. *Some names and identifying details have been changed to protect the privacy of the individuals we work with.